Last week I outlined the backstory behind the creation of Tecnica’s Mach 1 collection, a fairly straightforward chronology of how a panel of bootfitters exerted a major influence on product development that continues to this day. The code name for the project is P-165, the Pantone color of the Tecnica’s best selling models of yore. Regular readers of this space know I can’t resist a teaching moment, so with your kind indulgence, permit me to pontificate on the lessons of P-165. What does the recent history of frontline bootfitter input into a brand’s R&D process inform us about the meaning of life? Project 165 consisted of putting the people who make the boots and the people who work on the boots in the same room. One might well wonder why the team that lived with the boot collection night and day for year after year needed insights from users to find their way forward. Having spent many years wearing the multiple hats of a product manager, I can attest that a good one thinks he or she has all the bases covered before launch. The product is not only technically flawless; it’s carefully swaddled in layers of marketing twaddle to protect it from the competition’s barbs. Once the new baby is born, the assiduous product manager immediately turns his/her attention to the next stunning innovation awaiting its turn in the pipeline. You’ll see field reports of problems and either try to snuff them out before they spread or cultivate the skill set that allows you to disregard them. You’re certainly not going to prostrate yourself before the general public and fit a few hundred feet in your abundant spare time. To analogize, when it comes to their babies, product managers are terrific at pre-natal care and horrific parents, who consign their care of their kids to others the moment they’re sold. At the end of the day, the people who know the most about any given ski boots are the ones who try every day to put a human into them. The feast-famine-feast cycle Tecnica rode before, during and after the creation of Project 165 is more common than you might think. A quick scan of the Alpine brands at the 2018 America’s Best Bootfitters Boot Test confirms that every brand extant has survived a Dark Period during its history. 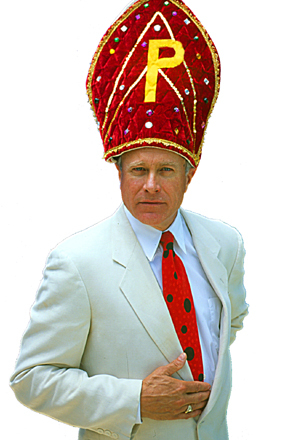 In the King-of-the-Mountain market share game, no king reigns forever, and the fall can be precipitous. The answer to the question why ski boot market share dominance should be cyclical isn’t clear-cut. Sometimes it’s a failure to adapt to trends, or the result of the empowerment of a key manager who steers the ship into the reef. Occasionally a brand will jump on a trend out of perceived necessity despite having little heart for the project; the children of such conflicted motivations often endure a brief and unpleasant existence. The practical minded among you may be wondering how on earth you can tell, from where you sit on the boot bench, which brand is on the upswing and which is in free-fall? Trick question! You can’t! But sitting in front of you should be a bootfitter who will put your interests first without regard to market fluctuations. 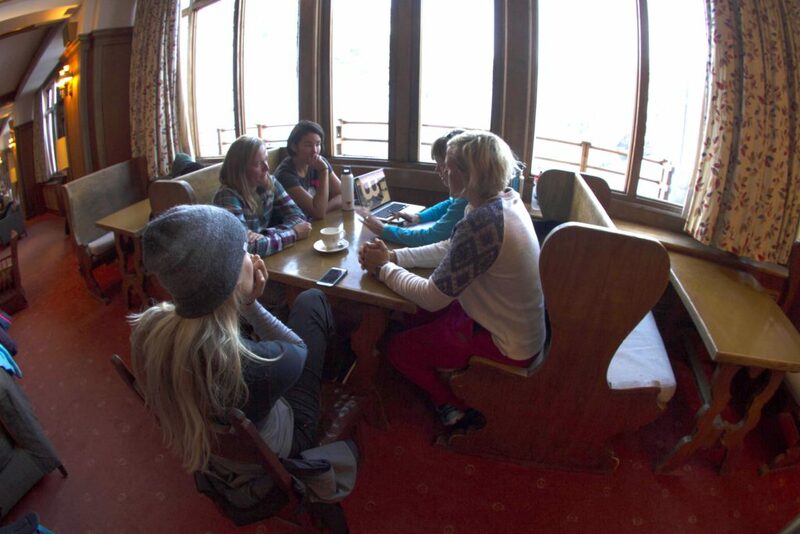 The first Women to Women Athlete Summit in Portillo, Chile (l. to r.): Jackie Paaso, Angelika Kaufman, Claire Brown, Brenna Kelleher and Leslie Baker-Brown at a brainstorming session. The devil is supposedly in the details, too, so they must be important. The Mach 1 that issued from Project 165 worked because it paid attention to detail on a multitude of levels without ever losing sight of the basics: it has to fit well and ski brilliantly. The little details like how the buckles close and if they have enough range of adjustment and if you can grind the liner and how well the shell will hold a modified position, all add up to a better user experience. Ski boots aren’t about gadgets, so the details I’m talking about aren’t superfluous extras, but the functional minutia that end up mattering. When Sven Coomer was mapping all the points he wanted to transfer from the leather boots of the era to new plastic molds, he counted 173 criteria, per size. Those are the details I’m talking about. You never know for sure how a boot is going to ski until you ski it, but you can appreciate, at least to some degree, how well thought-out it appears to be. Look closely at the details: do you detect the devil’s handiwork or divine guidance? 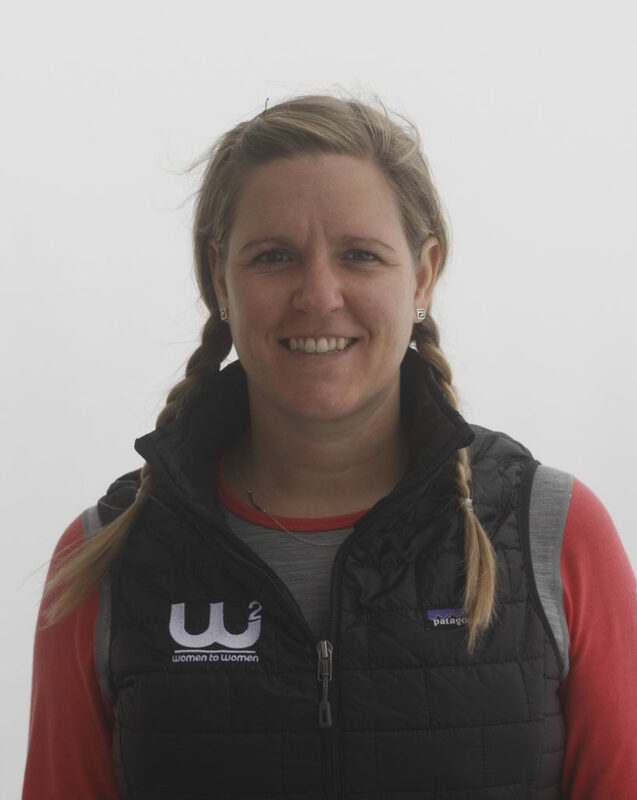 Maria Elena Rizzieri, the EU director for the W2W project, ripping Jackson Hole to tatters at the 3rd Annual Women to Women Athlete Summit. As I noted in last week’s episode, one of the remarkable things about the P-165 saga is its duration. While there have been a few changes in the cast of characters, the core has remained intact since its inception. The latest addition to the squad, Sam Tischendorf, brings with her a Queensland University of Technology degree in sports biomechanics capped by a career as a practicing podiatrist. Tischendorf also contributes to Tecnica/Blizzard’s Women to Women program, a separate initiative inspired in part by the sterling success of P-165. “The success of P-165 helped the parent company make the leap into the Women to Women project with confidence that this is the right approach,” notes Leslie Baker-Brown, a driving force behind W2W. Without their belief and support, this could not happen.” Like P-165, W2W addresses “the need for us on the brand side to listen and learn from those who are in the thick of it,” underscores Baker-Brown. Tischendorf fits the “in the thick of it” description to a tee, with vast, hands-on expertise in the sports biomechanics. 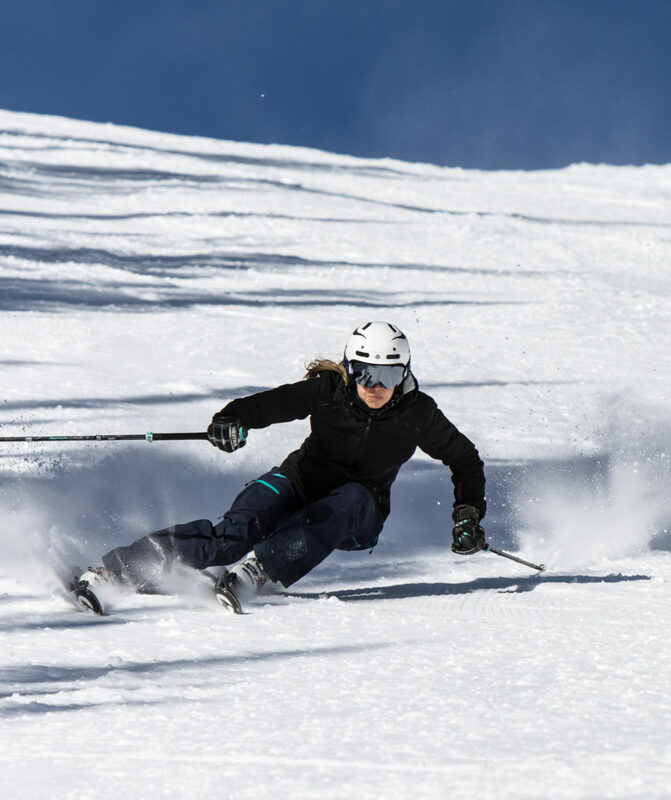 Tischendorf appreciates that the ski/boot/binding ensemble has to be considered as a whole if the shifting opinions about stance angle, sidecut, taper angle, core composition and other factors are to coalesce around an agreed-upon norm. When asked about what topics are debated in W2W meetings, Tischendorf laughingly replied in her Aussie twang, “Secret women’s business, of course,” before providing a peek behind the curtain. “It’s a continuous discussion,” she says, “where we put all our ideas out there as to what should distinguish women’s equipment.” On her wish list are more research into better heating solutions for women’s (and men’s) boots, a more anatomic women’s shell and better understanding of a woman’s optimal stance and position on the ski relative to its shape. Tischendorf is a pragmatist who realizes not all design changes can be realized in short order, and describes trying to achieve consensus as a “grapple,” a fair word for the process. Like any contributor to an R&D effort, Tischendorf has learned to balance the ideal with the real. It may be a grapple, but at least she’s in the room and ready to wrestle. If you glean but one nugget from the saga of P-165, let it be this: understand the brand. Skis and boots don’t make themselves; they all begin life as an idea, which can only be realized within the capital and industrialization constraints of the company. The people who make and market gear may not always espouse an ideology, but trust me, all brands have a distinct personality driven from the board room. The clearest distillation of the interplay between personality and corporate ideology lies in the Founder. With the Founder, the message and the medium are all one and the same. His uncontainable passion drives product design, and design drives message and marketing. All the founding fathers of the great ski and boot brands have slipped this mortal coil, an irreplaceable loss. (Anecdote: Georges Salomon was known to have thrown prototypes out the window, bellowing in his Haute Savoyard patois, “Don’t put my name on this #%*&!”) Some current brands still operate with the same familial sense of responsibility exhibited by their brands’ progenitors. While I lament the iffy quality control that often accompanies small batch production, there’s no denying that the entire “boutique” market is fueled by what one might call “Founder’s Passion.” When that passion intersects with sophisticated production and dedication to excellence, very good things can happen.